No matter how clean your dog or how spotless your house is, there are times when you may be visited by unwelcome guests. Despite its diminutive size the flea is a mighty adversary and should not be underestimated! 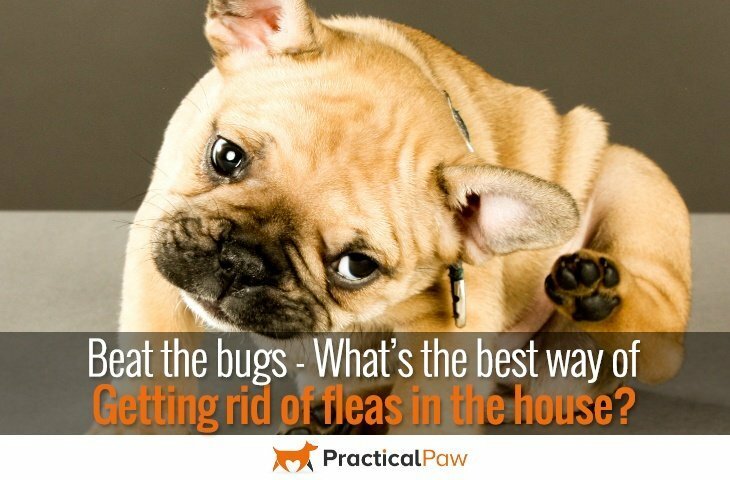 So what is the best way of getting rid of fleas in the house? They may be a complete pain but the flea is quite remarkable. Not only are there over 2,000 species and subspecies of fleas, but a single female is capable of laying between 40-50 eggs a day for around 50 days. That’s a whopping 2,000 eggs in a lifetime. If you’re still not impressed by their survival tactics you should be. The fleas adaptability is what makes them so tough to get rid of them once they have established a community in your home. 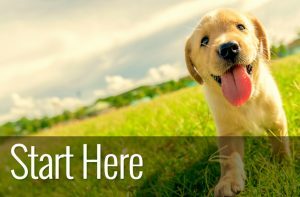 Adult fleas are small they are relatively easy to see if your dog has a bad infestation. However, they can be trickier to find on a dog with a thick, dense or curly coat. If you suspect that your dog may have fleas, then check your dog’s skin and coat. 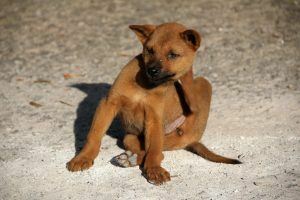 Fleas like warm places so check your dog’s armpits, groin and base of the tail. Although you may not see a flea, if there are signs of blood, dirt or the areas look particularly sore, then your dog may have fleas. If you are still not sure, invest in a flea comb and grab a piece of white paper or tissue. Flea combs are designed with closely set teeth so that they trap the fleas as you pull the comb through your dog’s coat. 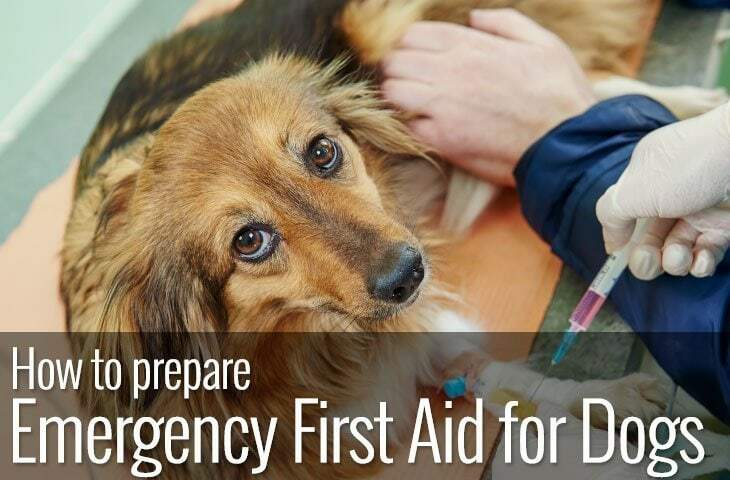 As you comb your dog hold the white paper under the comb and see if any fleas or flea dirt falls onto the surface. If there is debris, wet the paper and any flea dirt will turn a reddish brown colour as it gets wet. If you have confirmed that your dog is carrying unwanted passengers, then it’s important to tackle the problem on two fronts; you must treat your dog and your home. As only the adult fleas live on your dog, around 90% of the population live in the environment. 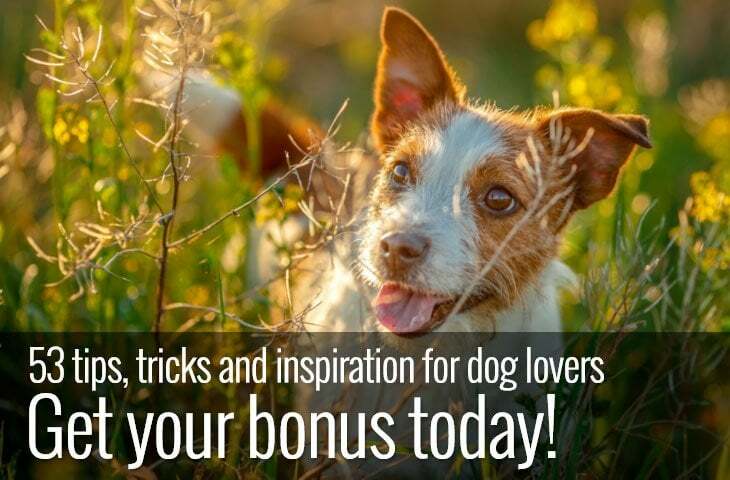 They can infest your dog’s bedding, carpets, and anywhere where your dog spends time. Don’t forget the places that he’s not allowed, like couches and beds! These will need to be treated too. Vacuuming will remove around half of the flea eggs. If you have a vacuum with a bag you will need to seal and discard the bag after you have finished. This prevents the fleas from re-infesting your home when you next vacuum. Wash anything that your dog has had contact with. This includes throws, chair covers and bedding. If you know that your dog sneaks up on beds and sofas when you are not there you need to wash as many of these items as possible. If your dog regularly travels in your car, you will also need to vacuum and wash as much as you can. You will need to use some form of flea treatment. As the flea has 4 stages to its life cycle it’s vital that all 4 of the stages are targeted in order to completely eradicate the infestation. You have a lot of choice when it comes to flea treatments. Most commercially available sprays for use in the home are chemical based. Although effective, they can cause issues if used regularly or over a long time. 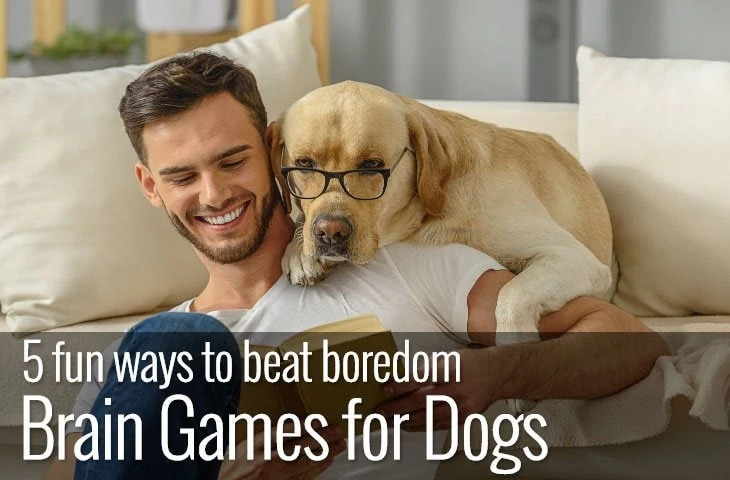 If you prefer a more natural approach then there are plenty of alternatives to keep both your dog and your home flea free. If you are diligent there is no reason for fleas to get out of hand. However if you feel that you are losing the battle then you can always call in professional pest control companies to take care of the problem for you. You still need to treat your dog to prevent re-infestation but getting your house professionally cleaned will help you get back in control. Thanks for sharing, your article is very useful to me! Fleas are a great problem in our area, especially in summer. I always use apple cider vinegar as a flea repellent. It’s natural and rather effective.